Four friends delve into unfamiliar territory when three of them realize they must intervene to save the fourth in "Just Between Us." “Just Between Us,” by Rebecca Drake, details the friendship of four inseparable women. 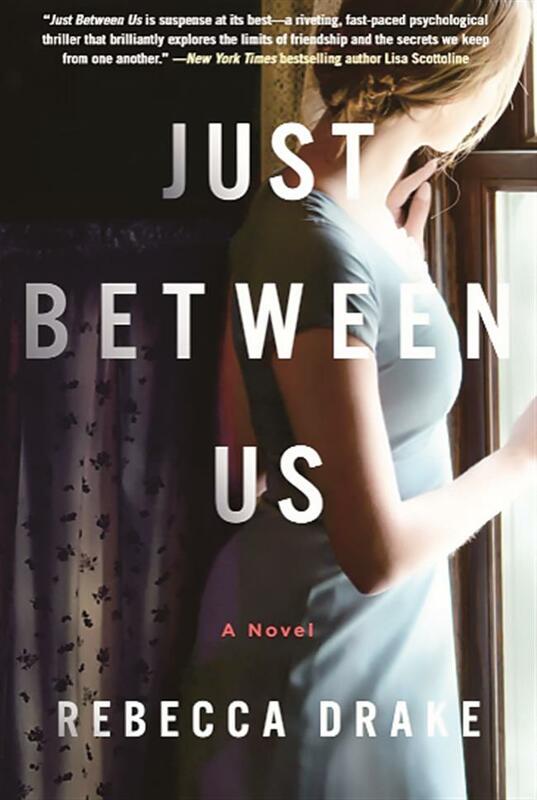 Four friends delve into unfamiliar territory when three of them realize they must intervene to save the fourth in “Just Between Us,” Rebecca Drake’s twisty and compelling look at what from outside appearances looks like suburban bliss. Julie, Sarah and Heather are moms who regularly spend their days together with their young children. Then Alison moves into town and joins the group with her kids, and the four women become inseparable. One day Alison sees a nasty bruise on Heather’s wrist and wonders if Heather’s husband is abusing her. Alison shares her suspicions with Julie and Sarah, and at first they can’t believe it. Then they see more evidence of what seems to be a secretly violent marriage and realize they must offer to help Heather escape. Heather denies their allegations at first, but the more she claims everything is fine, the more evidence piles up that she’s living a nightmare. Then Heather announces that she’s pregnant. That revelation starts a chain reaction that will turn dark and force the women together to keep a shocking secret. The power of their friendship is strong, but how easily will it unravel when one of them takes steps to save Heather and solve her problem? Each chapter of “Just Between Us” is told from the point of view of one of the four women, and Drake does a wonderful job of juggling the characters while giving each woman a distinct voice. The true value of friendship along with the baggage, secrets and the need for social acceptance are showcased in vivid style. In addition, Drake reveals what sometimes is a high cost to maintain those bonds.